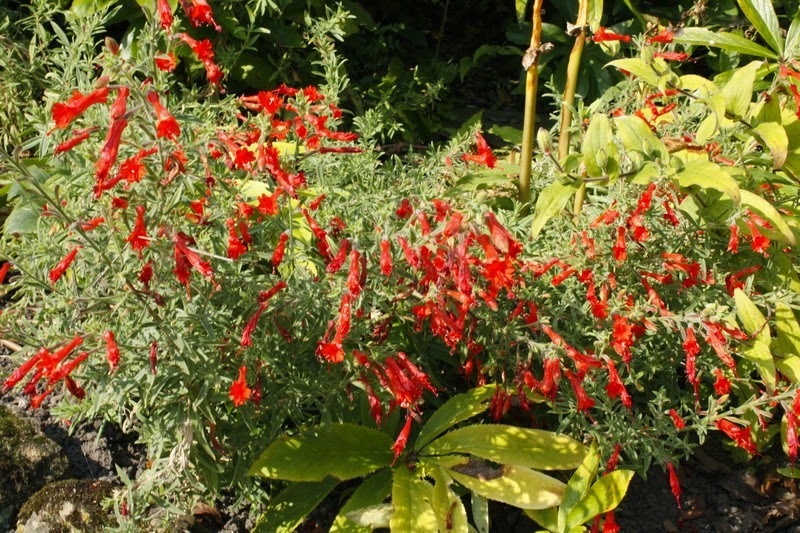 Plants and gardens, plus a little more from a plantaholic who splits his time between the sun of Palm Springs (zone 9b - desert) in the USA and the clouds of Nottingham (zone 8) in the UK. Now back in the USA for some Californian sunshine! The sun's been out for a late airing this last week, so I felt the need to go in search of coffee and cakes - no seriously I went for an autumn visit to Felley Priory but was lured into the tea rooms by chronic exhaustion! 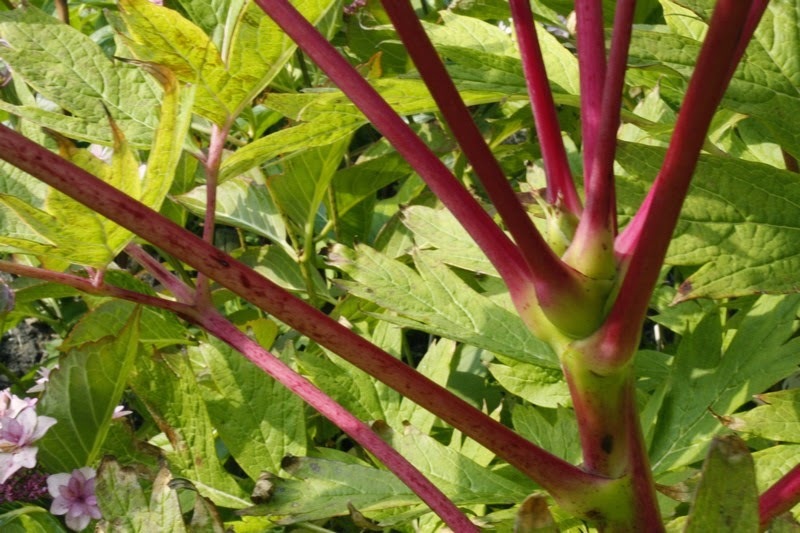 My three long-term readers will recall that I have spoken about Felley before as this is where Plant Heritage (NCCPG) hold their spring and autumn plant sales. 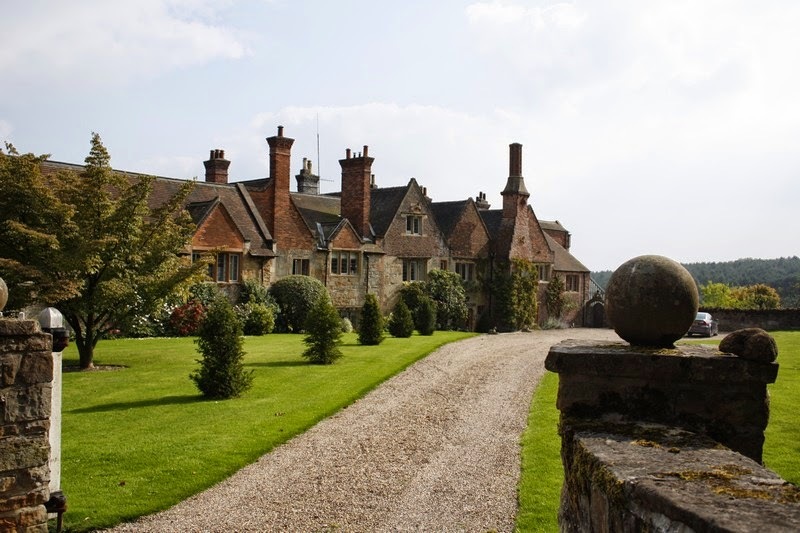 The original priory was established in the 12C but largely destroyed in the Dissolution in 1553. The current house was built in the 16C and 17C. 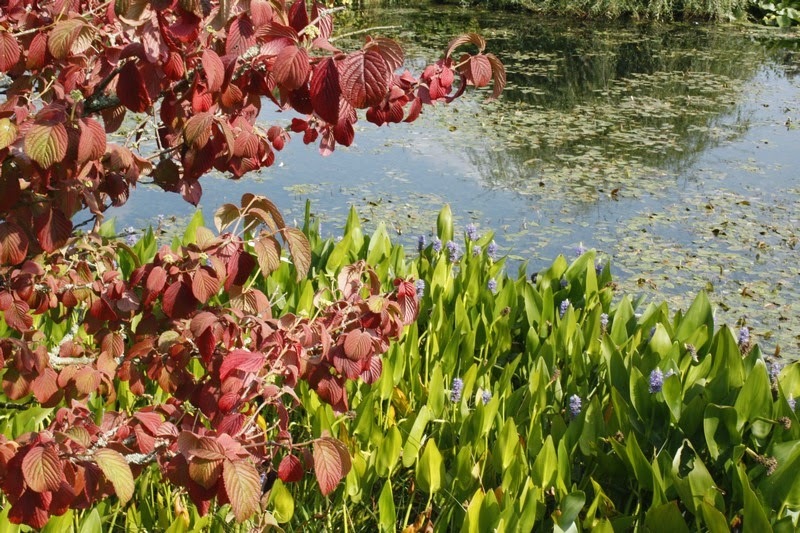 Records show the garden was terraced in the late 19C, when the pond was probably constructed. 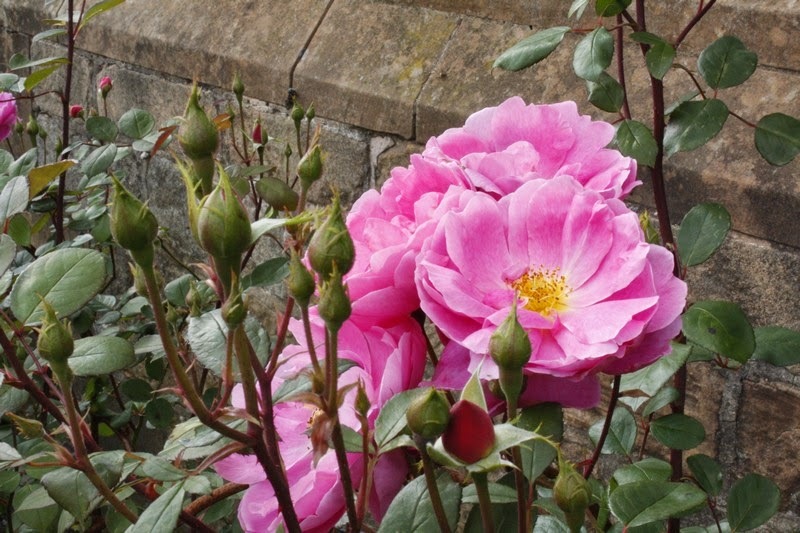 The garden as we see it now was largely created from 1973 by the late Mrs Chaworth-Musters. 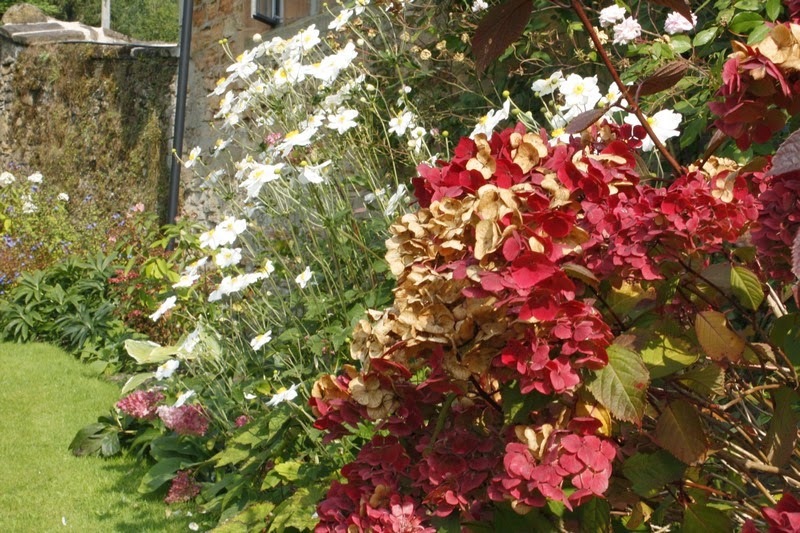 Great credit must however go to Michele the Head Gardener and her team who maintain the gardens superbly. 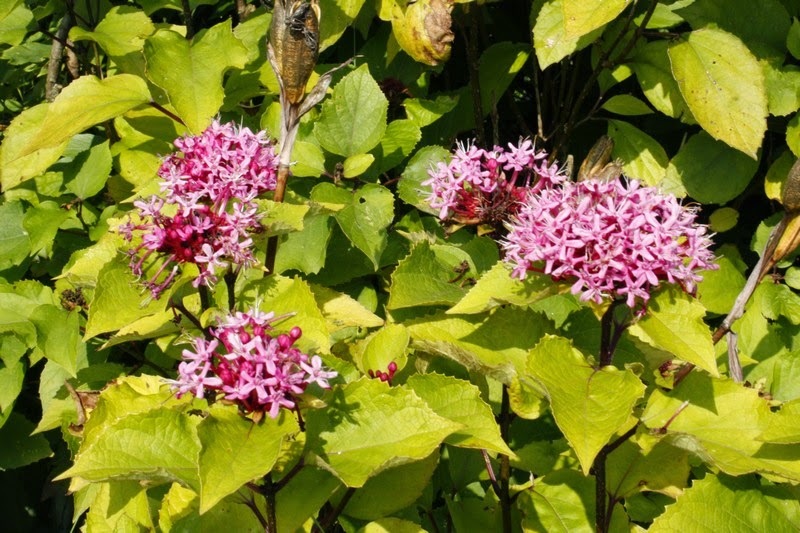 Clerodendron bungei - nice flowers - smelly foliage! 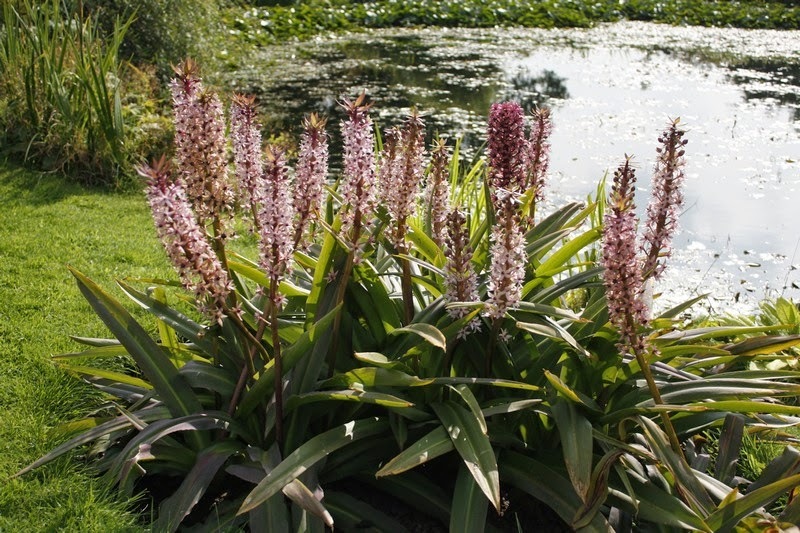 This is a garden for plant lovers with many unusual plants, grown in a lovely setting. The bulk of the garden lies to the rear of the house with stunning views out across the surrounding farmland. 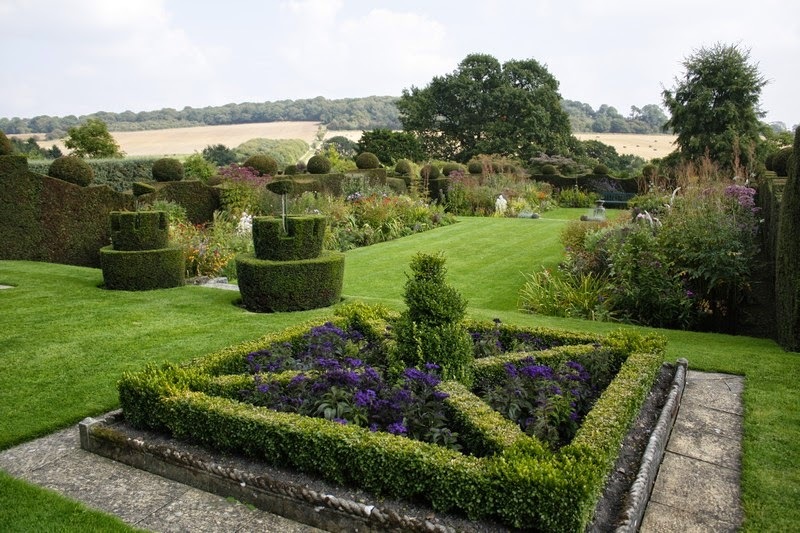 Superbly maintained topiary gives a strong structure to the garden over which there is an overlay of softer planting. I had hoped that the herbaceous borders would have provided some late colour and inspiration for painting but the display was really over. In general there are some lovely plant combinations but I did find the clumps of orange Crocosmia in borders which were otherwise soft pinks, blues and lavenders, rather jarring! I always find something interesting in the small arboretum. 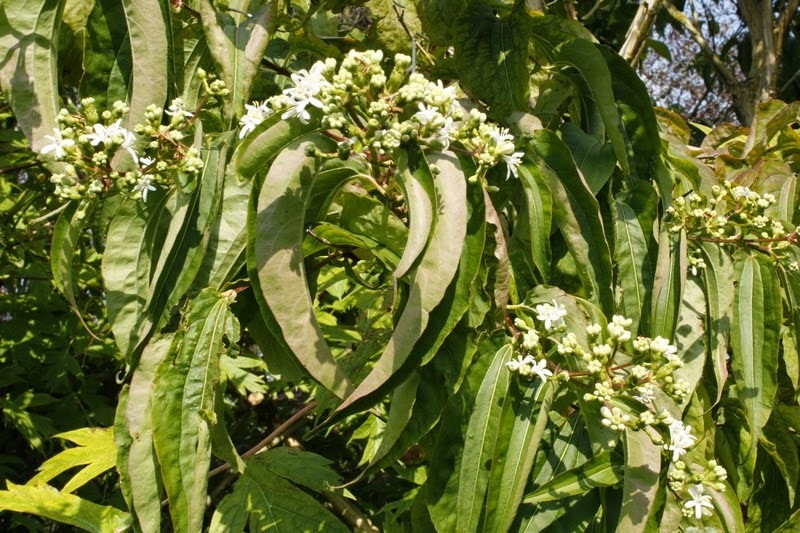 This time I noticed Heptacodium, a close relative of honeysuckle which bears rather uninteresting white flowers, which delight passers-by with a lovely sweet scent. 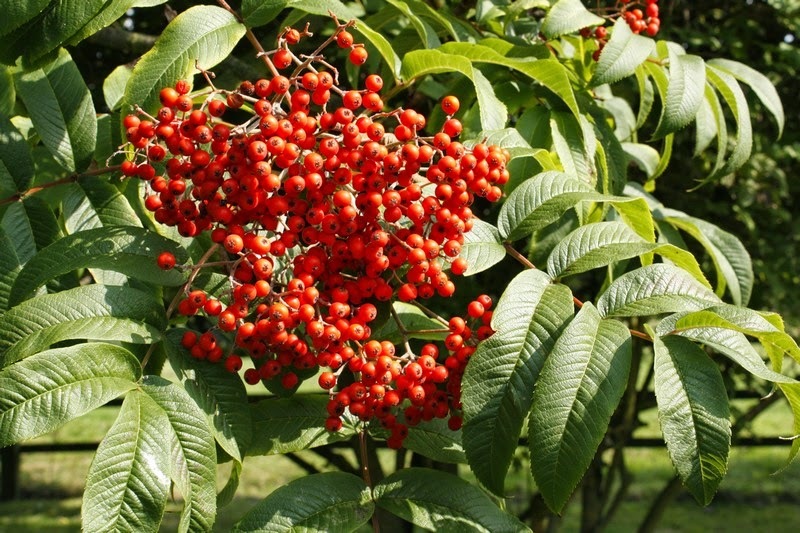 Sorbus sargentiana was laden with huge bunches of red fruits. 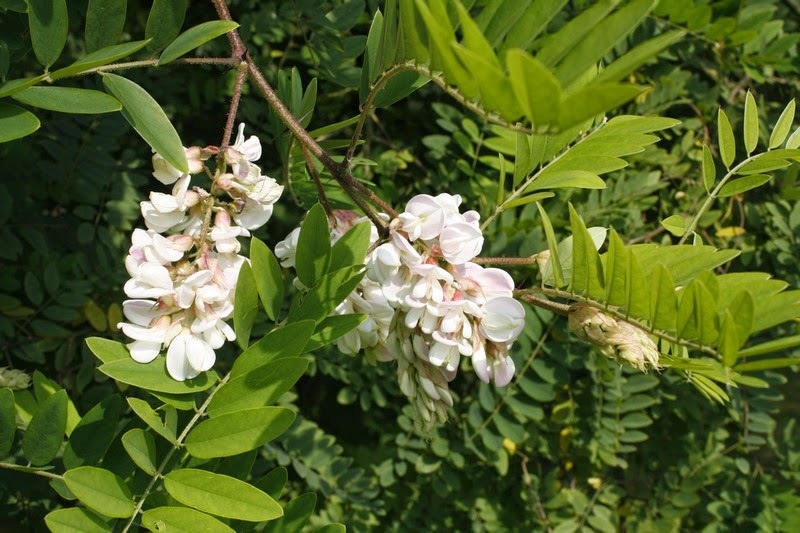 I was surprised to find a Robinia in full flower - Robinia x ambigua - a new one to me! 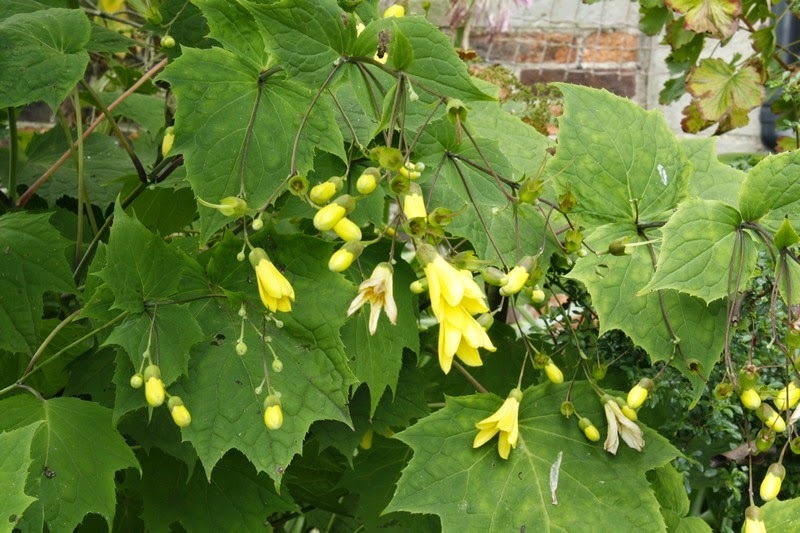 Hillier describes it as June flowering, so not sure why it was misbehaving. 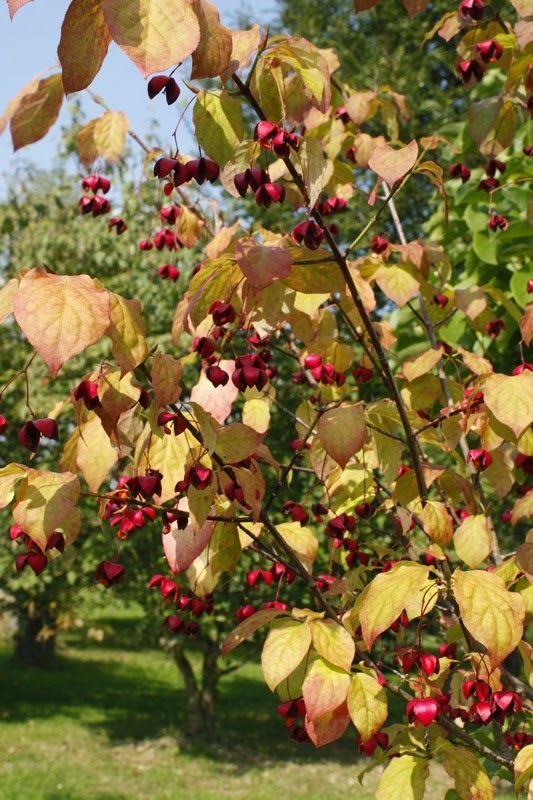 I was also attracted to the colourful fruits of Euonymus x planipes, described as a large shrub and also promising good autumn colour. 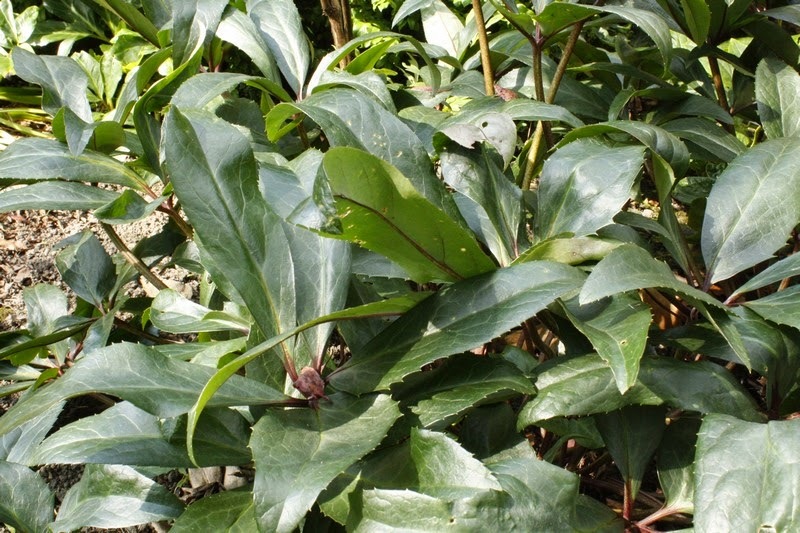 Some dark glossy green leaves of a hellebore caught my eye in this area - this apparently is 'Winter Sunshine' and will have pink buds that open to white flowers, in winter of course! 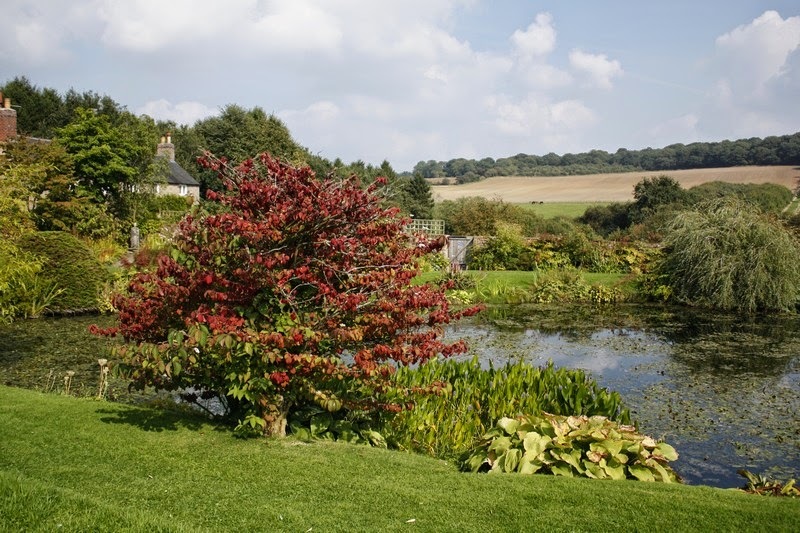 The area around the lake is lovely having the sweeping views across the fields but if you keep your eyes within the garden, there is lots to see. 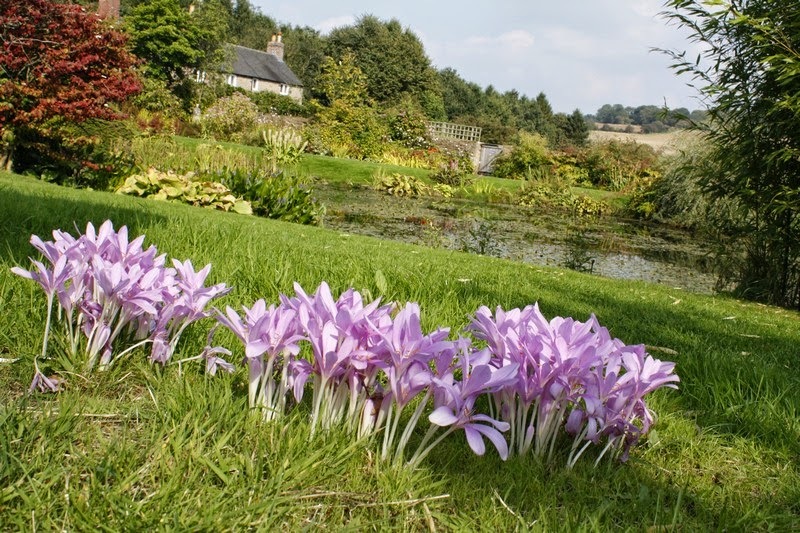 Here as in other areas of the garden there are large clumps of sugar pink autumn crocus growing in the grass. 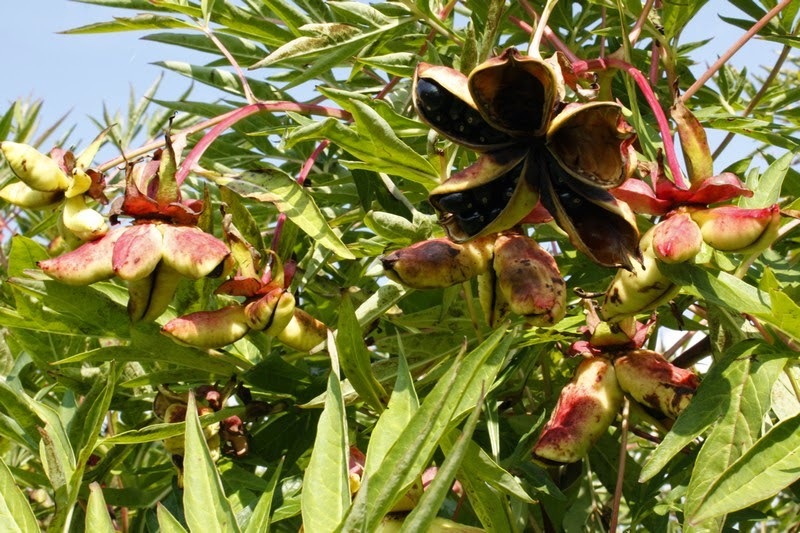 I loved the autumn tints and colourful fruits on many of the tree peonies. 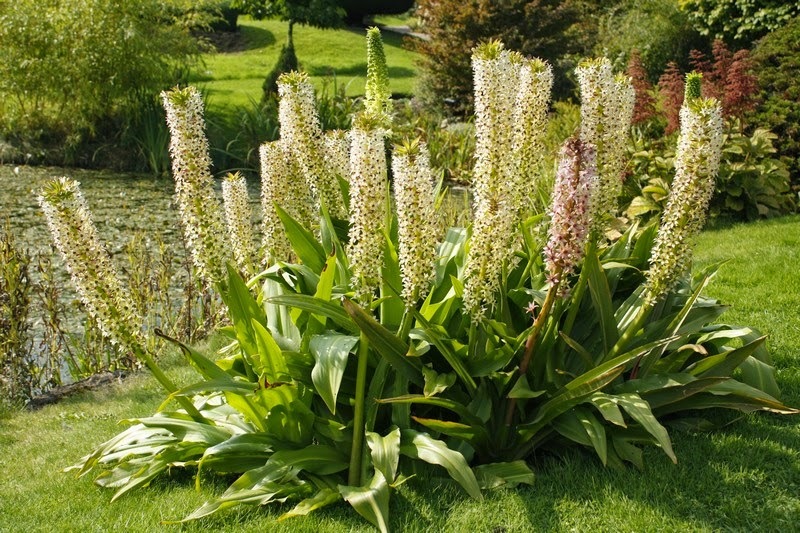 The big clumps of Eucomis, the pineapple lily, growing right by the water's edge always amaze me. 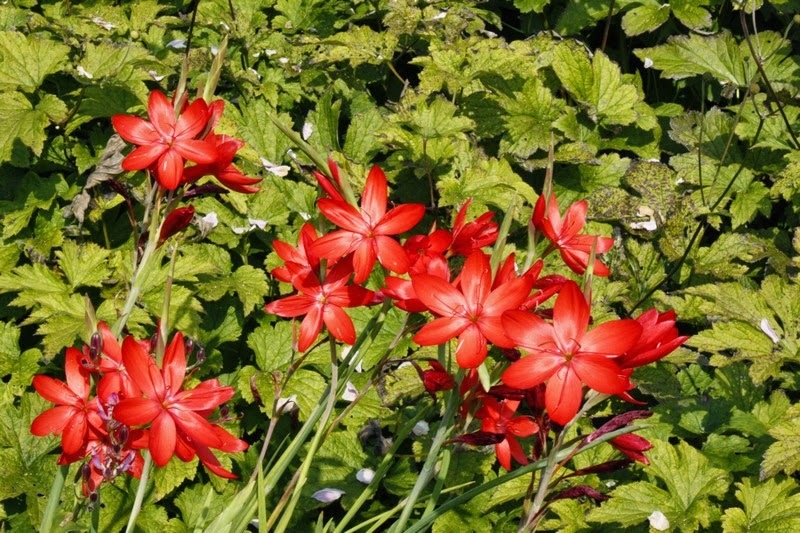 I wouldn't have though of this as the right location for a South African bulb but these seem to love it and were flowering superbly. Having circumnavigated the garden, my route brought me back to the entrance, so I made a brief trip round the nursery and resisted temptation! But my strong resolve and thriftiness didn't last, as I drifted into the tea rooms and indulged in carrot cake and coffee! All very healthy - well carrots are vegetables! Tea and cake, perfect complement to what looks like a beautiful garden indeed! 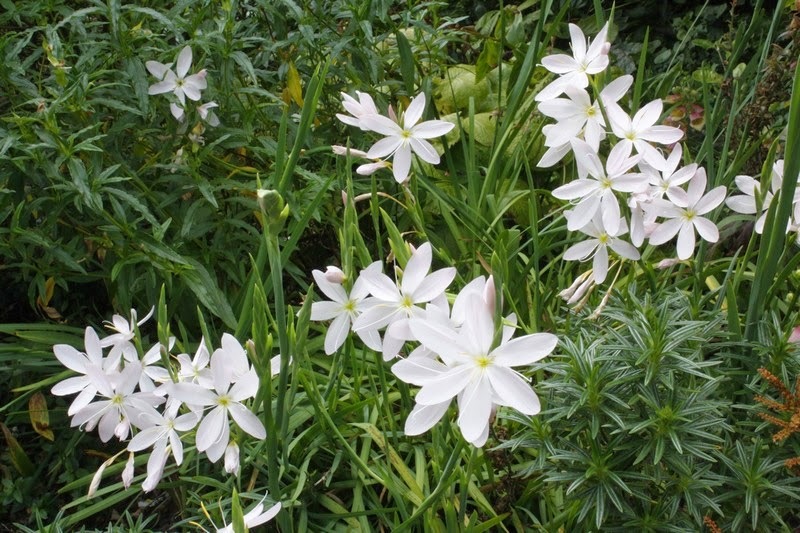 Semi-retired horticulturalist who now lives mainly in sunny California USA but also still has a home in the drizzly grey UK. Gardening author, designer, and watercolor artist. If you don't want to read my flowing prose but just look at the pictures, click on one which opens a viewer and then toggle through. Wecome to Dallas - a rant! How did it all start? Picture Window theme. Theme images by compassandcamera. Powered by Blogger.